Can you help fix Charlton House’s leaky roof? Royal Greenwich Heritage Trust has launched an appeal to raise money to repair Charlton House’s leaking ceiling. 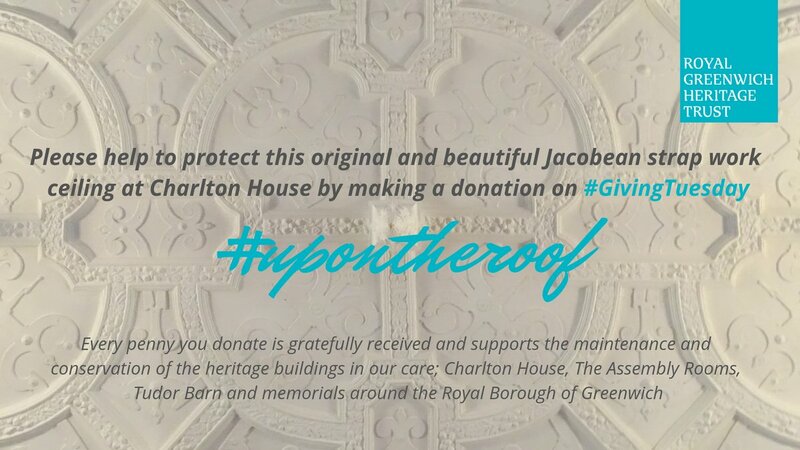 It says “Works this year at Charlton House have totalled £10k with a further £25k required to do more essential repairs to protect the Jacobean ceilings“. You can donate here. Royal Greenwich Heritage Trust was set up by Greenwich Council in 2014 to manage historic buildings in the borough, including Charlton House, the Assembly Rooms, and the Tudor Barn in Eltham, as well as the borough archives and war memorials.